Any member of the AFT List may only Invite others to the List from the home page options evident there. But best to send them the "AFTList+subscribe@googlegroups.com" email address - that way they get a better welcome and introduction. In summary then, the AFT List home page on GG is not an essential, but it's worth a visit. Just one hitch usually - you need to remember and search with the exactly right words to get the right emails found. • Before typing into your reply, just highlight All <control+A>. Then as you begin typing you will delete the full quote of past discussion. Hey presto - clean email with right subject heading! • Best practice would be, before deleting all of it, highlight a select line or paragraph and copy it (control+C); paste it in as a brief quote to remind people where your newly typed thoughts link to in the earlier email. Ensure that the shared material attributes the author, the date and the AFT List Google Group as the place of publication. Take care in each case to consider the acceptability and consequences of sharing the material elsewhere. If the discussion contained case histories and examples (even if anonymised) or heated or controversial or risky content, then those discussions might not be so appropriate for sharing more widely. The purpose of publishing would carry the same qualities as all discussion on AFT List/s - that is, constructive and respectful even if robustly disagreeing. Provide a degree of advance general or specific notice to the AFT List or the particular author of your wish and intention to publish or share their writings. Give a little detail of where and why. This allows that the author/s concerned have an opportunity to give their approval or modifications for wider publication. In general, given collegial goodwill and constructive intentions, detailed permissions would not usually be required, as long as the above guidelines are followed. The internet is meant to be free and easy to channel discussion and information members want to hear about. This includes advertisements on the AFT Lists for events, publications, courses and jobs. But times they are a-changing - advertising in Context used to be a major income for AFT. Now that advertising is very much web-based AFT has to make its web and email advertising earn more. AFT's financial survival requires that the easy use of email lists for advertising is not so free and easy. Linked to advertising in AFT's magazine, Context, AFT has had a web advertising service since 2007. This now includes Direct Email as well as web-based advertising. The rate card and advertising details are here. Context and AFT web/email advertising is the official and best place for e-advertising to go. 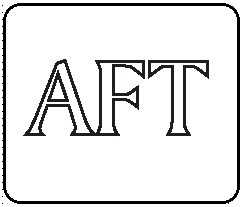 AFT's firm policy now is to direct advertisers of all kinds to AFT's dedicated advertising resources for events, publications, courses and jobs in its magazine Context and its advertising webpages. Special limited free advertising is provided for AFT events. There are competitive rates for all advertisers. There are special rates for charities and others with limited budgets. The rule is now: Contact Louise Norris to discuss and arrange advertising of all kinds at <l.norris@aft.org.uk>. Do not now publicise on AFT email lists without first asking if the content is OK. If you have put an advert on the AFT website (ie it has been properly approved and/or paid for) then you will be allowed to send a message round to AFT lists linking to the web advert ... and showing too that the emailing runs in tandem with a proper advert. Thank you for your help in making this work.